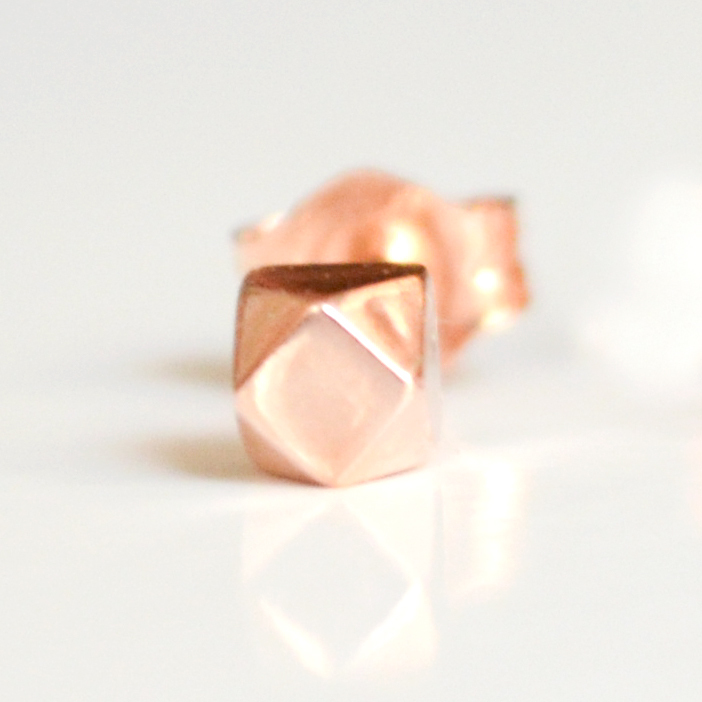 A single 14k gold or rose gold tiny faceted stud earring. Great for a second hole or as a replacement! *Stud earring measures approximately 1/8″ x 1/8″ (3mm x 3mm). 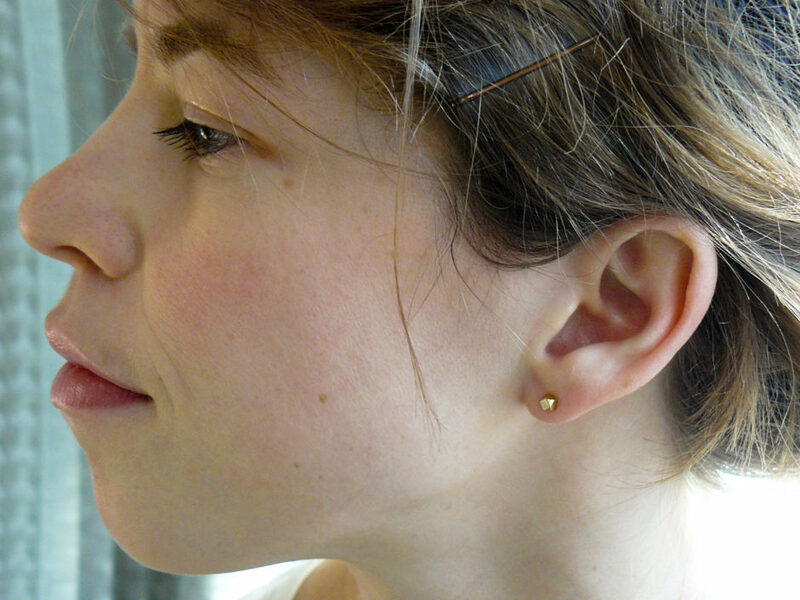 *The earring, back and post are all solid 14k gold or rose gold. 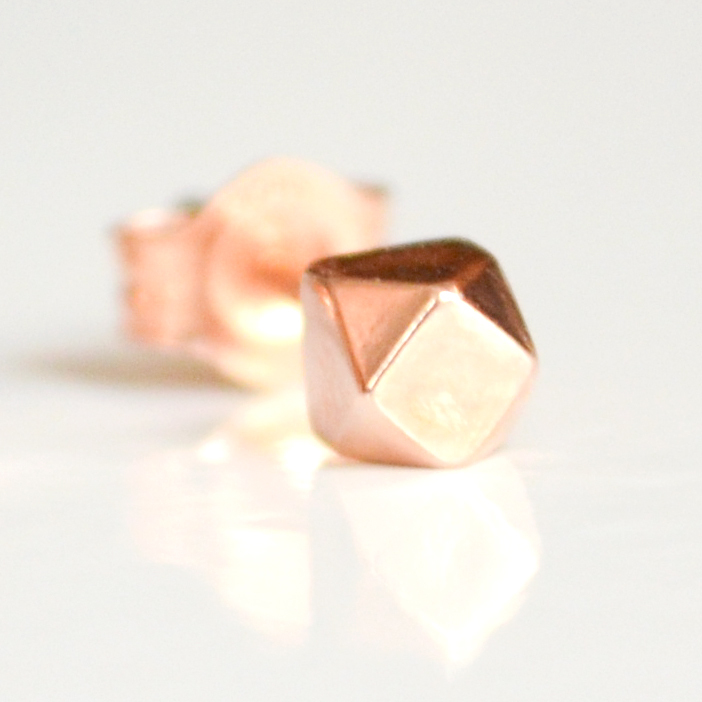 *Ethically sourced gold and handmade in Brooklyn, NY! 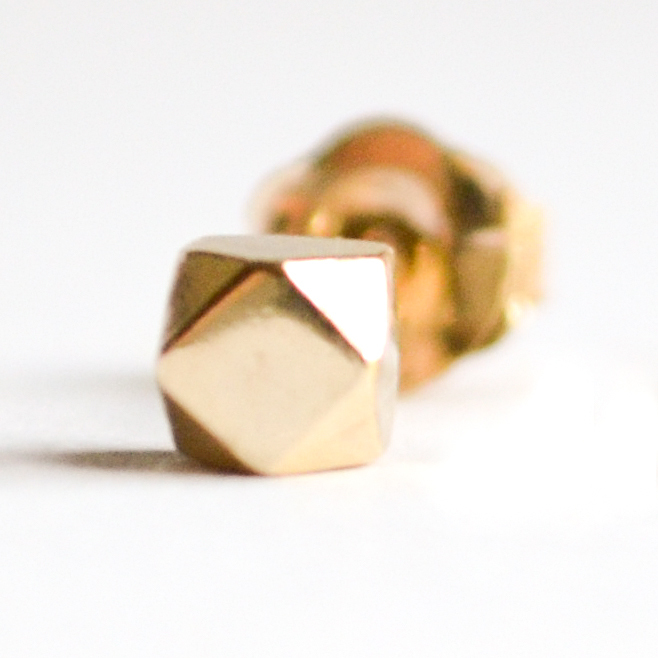 *These studs are nickel free and great for sensitive ears!